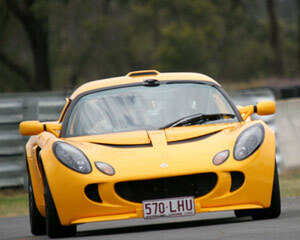 If you have the need for speed then signing up for V8 super car hot laps will be just the ticket for you. Hot laps put in you in a motor car for some serious fun. 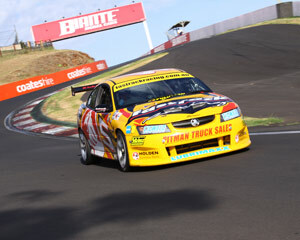 The cars are driven by professional drivers, many of which are ex-racing car drivers. Race car hot laps are the ultimate adventure. Get you V8 supercar hot laps in Perth, Brisbane, Sydney, Melbourne, Eastern Creek, Phillip Island, the Gold Coast and Sandown are awesome. Motor car hot laps are also a great gift idea for the rev-head. Get on board and fulfil your need for speed. 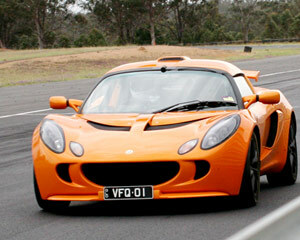 Drive a Lotus Exige for the ultimate racing experience - even Jeremy Clarkson says so! Drive YOURSELF for 5 laps on a world-class racetrack near you. Unbelievable power, exceptional handling and speeds you can't imagine - the adrenaline rush is at your feet, so strap yourself in and feel the power! 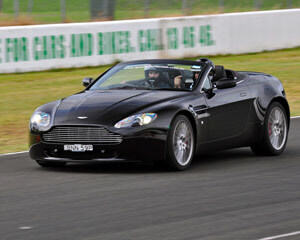 Aston Martin Vantage Hot Laps - live your James Bond fantasy with 4 high speed passenger laps around Sydney's legendary Eastern Creek. There's no circuit like Mount Panorama and no racer who knows Bathurst like Jim Richards does - Hot Laps simply don't get any better!! 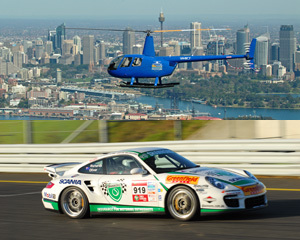 This is the ride of a lifetime, strapped into a Porsche race car driven by Jim Richards - 7 times Bathurst 1000 winner, 4 times Australian Touring Car Champion. Come and experience the thrill that Peter Brock lived. This is the largest Brock collection in the country, with a spectacular light and sound show tracing the motor racing champion's amazing career. See well known highlights as well as personal 'never seen before' footage that will inspire. Be inspired by the history of motorsport legend, Peter Brock. Learn about the history of the largest Peter Brock collection in the country. With over 35 cars in addtion to personal and professional memorabilia and racewear, this collection is unique to this country and definitely a "must see". 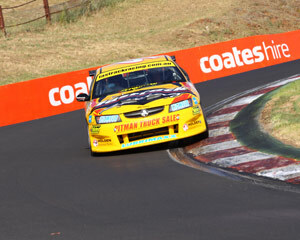 Drifting is the fastest growing form of motor sport in the world, over the last 5 years it has exploded in popularity. If you want to progress in the sport of Drifting and go on to compete in championships or you just want to have a fun, this full day drift experience is for you. This 4WD experience is for competitive thrill-seekers! On huge 'rockcrawler' tyres, you'll climb walls, flip sideways, crab-walk and be taken in an awesome hot lap! Do 80 minutes just southwest of Melbourne - they're firing up 'Hell-Dorado' to give you the adventure of a lifetime! Do an Extreme 4WD Course just outside Melbourne! HUGE 'rockcrawler' tyres take you on a 40-minute thrill ride you'll never forget. Drive along walls, try to miss gates and try not to roll! Thrash a 4WD over purpose-built rugged terrain and feel the adrenalin of self-drive adventure sport! You get to DRIVE a Real Military H1 Hummer with an instructor in the passenger seat acting as your navigator, providing driving tips as you drive our Hummer up and down the razor back sand dunes of Lancelin, then you will come for a HOT LAP in our 750 HP Racing Hummer at speeds of up to 200kmh!! 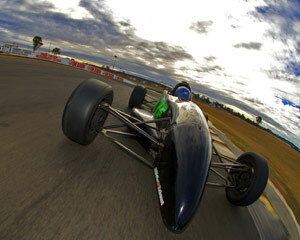 The chance to drive a race prepared Formula Ford open wheel race car on a race track. This is real driving and one of the ultimate team building or client hospitality days you will ever have. 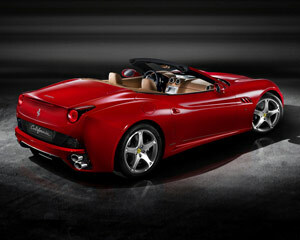 No car stirs the emotions like a Ferrari. This is everything a supercar should be - and this is your chance to see how they were designed to perform! Have you watched the superstars of motorsport in Formula One racing? If you enjoy motor racing, you'll love the opportunity to experience a taste of the thrill that driving a fully-fledged, single-seat, European Specification Zetec-engined Formula style car! Have you ever watched the superstars of Motorsport in Formula One racing? If you enjoy motor racing, you'll love the opportunity to experience a taste of the thrill that driving a fully fledged, single-seat, European Specification, Zetec-engine Formula style car! We've convinced a genuine Formula Ford Racing Team to let you drive their competition-prepared Formula Ford Spirit or VD race cars at full pelt around Wakefield Park circuit. Climb in and hang on tight! This hot lap session will have your adrenalin pumping as our professional driver takes you flying around the 1.2km rally circuit, just 30 minutes from Brisbane and the Gold Coast. Feel the thrill and the exhilaration of the rally spec Subaru WRX from the hot seat! 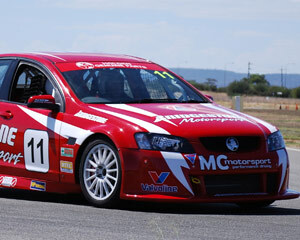 Sit down, strap in and hang on as you go for four fast hot laps in a V8 SS Commodore. 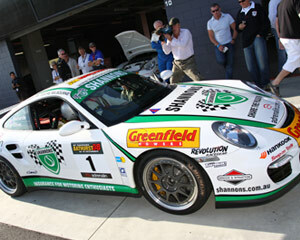 At our driving centre on the Gold Coast you will live the dream as a hot laps passenger in one of our cars. Feel your adrenalin skyrocket as you complete your first hot lap and then brace yourself for three more! 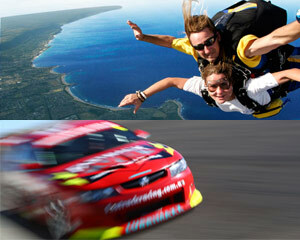 This is for the serious adrenalin junkie! Experience the ultimate off road ride as you buckle yourself into an authentic off road race buggy. 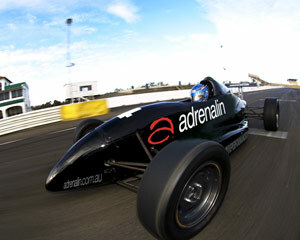 Hang on tight as your instructor races around our track for 3 adrenalin pumping laps. The third hot lap is on the full race track! This 1.5 hour WA Hummer off-road driving adventure will take you around the razor back sand dunes in a M1 military Hummer at speeds of up to 200km/h! Set in Lancelin, just 90 minutes north of Perth, this thrilling Hummer experience is sure to be the ride of your life! For the ultimate in high speeds and top class Adrenalin you cant go past the Jim Richards Hot Laps and private Heli Experience. Forget roller-coasters, the ride of a lifetime is around the track in a 620bhp Porsche GT2 driven by The Master", Jim Richards - 7 times Bathurst, 8 times Targa Tasmania and Carrera Cup winner." Lamborghini Hot Laps around Eastern Creek - many of us grew up with a poster of a Lamborghini on our bedroom walls, dreaming that one day we may see or even sit in such a machine. Now it's for real! Lolly fans will be ecstatic to receive this 1.3kg Lolly Shop in a Box! This gift box has all the old favourites - pineapples, milkshakes, Chicos, jellybeans and more - 16 varieties of tastebud heaven. The lollies only weigh a few grams each and you get 1.3kg - even Mr.Wonka would be happy with that! 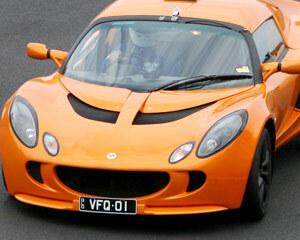 The Lotus Exige Full Day Race Experience is Brisbane's biggest thrill - 60 spectacular laps! Choose from 2 great circuits and actually master the car. Speeds uncapped, training provided - it's every man's dream! Don't hold back, it's foot to the floor in one of the world's greatest sports cars! Lotus are renowned for building some of the best handling cars in the world, strap into the passenger seat for the high speed ride of your life! Let your experienced, professional driver take you for a hot lap session at speeds that are sure to get the blood rushing and you hanging on for dear life!